OFFERS INTERNSHIPS AND WORKS WITH COMMITTED VOLUNTEERS. 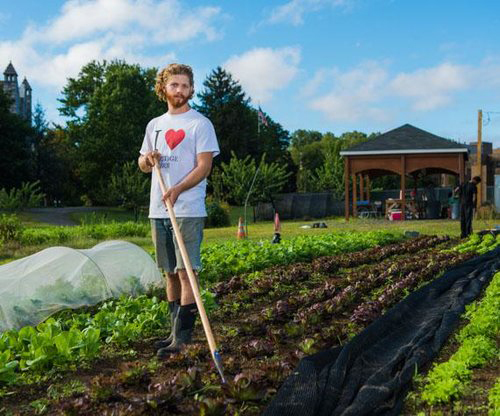 Adrian Galbraith-Paul manages Heritage Farm, a four-acre vegetable farm, selling to Philadelphia restaurants and providing food for families in need. Adrian is committed to building efficient and ecological farming systems that seek inspiration from nature and produce the best quality vegetables. He seeks to use farming and gardening as a tool to help people become more healthy, confident and happy.